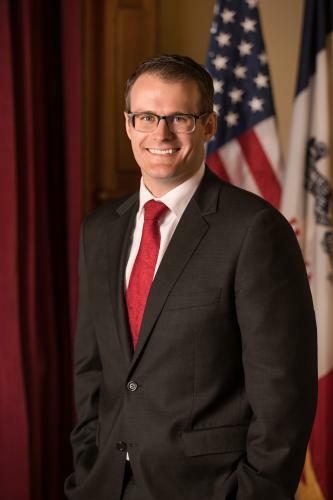 Adam Gregg serves as Lieutenant Governor of the State of Iowa. He was appointed to the position by Governor Kim Reynolds on May 25, 2017. 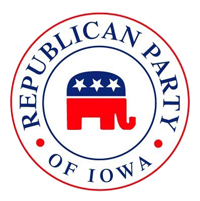 When he was selected, Adam was serving in the Branstad-Reynolds cabinet as the State Public Defender, a position he was appointed to by the governor in 2014. In this role, Adam led a 220-employee organization with a nearly $60-million budget, focused on providing the Constitutional right to counsel for Iowans. Through innovative leadership, he used existing resources to create a new division within the Office of the State Public Defender to investigate potential wrongful convictions in the criminal justice system. During his time as State Public Defender, average processing times improved by 78 percent, from 44.8 days to 9.7 days in just over two years. He modernized the agency by moving processes online, improving efficiency while increasing the ability to detect and investigate fraudulent claims for taxpayer dollars. Gregg was proud to support drug courts, mental health courts and veterans courts throughout the state, which are innovative specialty courts that focus on treatment and recovery rather than punishment and imprisonment. From 2013-14, Gregg served in the governor’s office as the legislative liaison and policy advisor. In this role he helped in the crafting and adoption of the Governor’s bipartisan budget and policy agenda over the course of the 85th General Assembly. He assisted in navigating a balanced budget, transformational education reform and the largest tax cut in Iowa history, among other priorities. Prior to joining the governor’s office, he practiced at the BrownWinick law firm in Des Moines. He was the Republican nominee for attorney general in 2014. Gregg graduated in 2009 with high honors from Drake University Law School, where he received the institution’s prestigious Opperman Scholarship. While there, he earned the faculty’s William and Ellen Cooney Hoye Award, given to the individual who demonstrates the greatest promise as an advocate, public servant and practitioner. While in school, Gregg conducted legal research in his capacity as an Iowa Supreme Court Scholar with Chief Justice Mark Cady and was a staff member for the Drake Law Review. One spring break, he and a team of law students went to New Orleans to conduct pro bono legal work post-Hurricane Katrina. Gregg earned his B.A. from Central College in 2006, graduating first in his class with degrees in Political Science and History. Gregg’s experience at Central College included internships with the U.S. Dept. of Defense, U.S. Congress and United Kingdom Parliament. Gregg is a graduate of West Sioux High School and a native of Hawarden, Iowa. He resides in Johnston with his wife, Cari, and their two children, a six-year-old son and a four-year-old daughter. He and his family are active members and volunteers in Johnston River of Life Methodist Church and Meals from the Heartland events. He also coaches his son’s flag football team.